On May 18, 2015, juniors from all across Anderson County were honored at the annual Anderson Star Student Awards. This event recognizes outstanding juniors from all thirteen high schools in Anderson County in the seven categories of: English, Math, Social Studies, Science, Arts, Athletics, and People’s Choice. 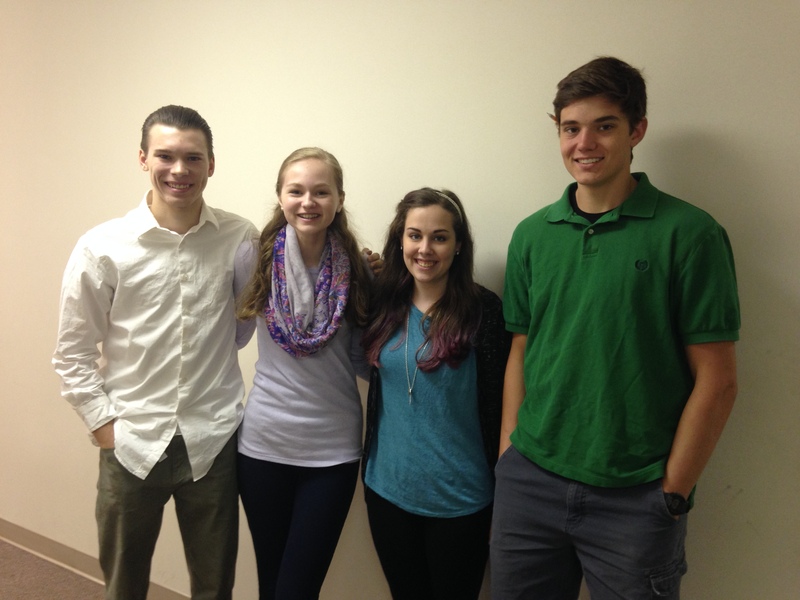 Four New Covenant School juniors were honored at the event. Miss Rebecca Roth was nominated for her outstanding performance in History. Miss Rebekah Graves was nominated for her achievement in English. Mr. Brian Sizemore was nominated for his achievement in the Arts. Brian is an actor and musician. Mr. Benjamin Hardy was nominated for his outstanding performance in Athletics, specifically Anderson Cavalier Baseball. Congratulations to these four NCS juniors!! 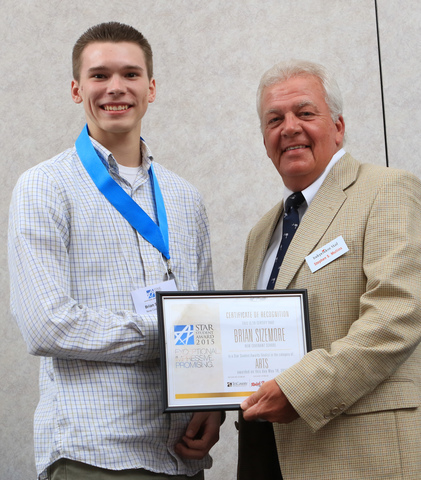 Brian Sizemore, left, of New Covenant School, with Steve Mullins, Editor in Chief of the Independent Mail, during the 2015 STAR Student award event, May 18 in the Civic Center of Anderson. 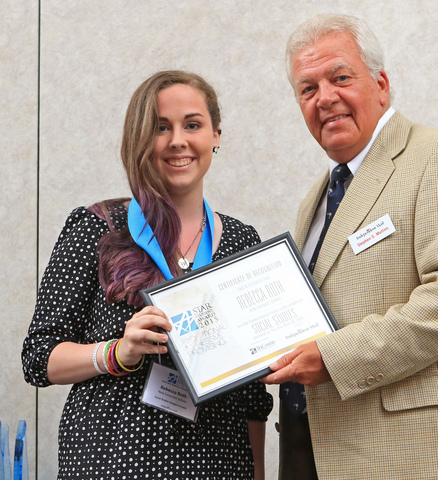 Rebekah Graves, English, New Covenant School, with Steve Mullins, Editor in Chief of the Independent Mail, during the 2015 STAR Student award event, May 18 in the Civic Center of Anderson. 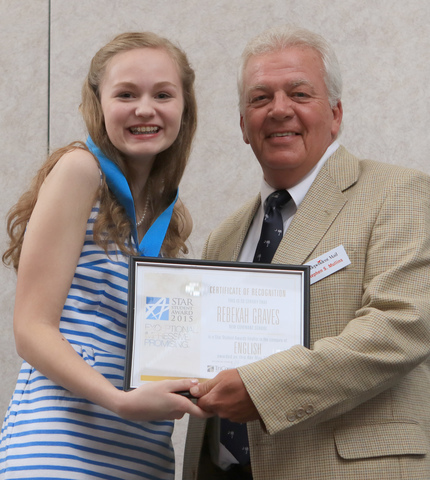 Rebecca Roth, New Covenant School, Social Studies, with Steve Mullins, Editor in Chief of the Independent Mail, during the 2015 STAR Student award event, May 18 in the Civic Center of Anderson.